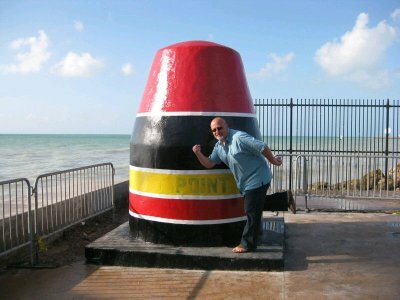 "This is the southernmost point in the continental USA. The marker is being repainted. Thanks to Scott for phooning (and for the photo idea).